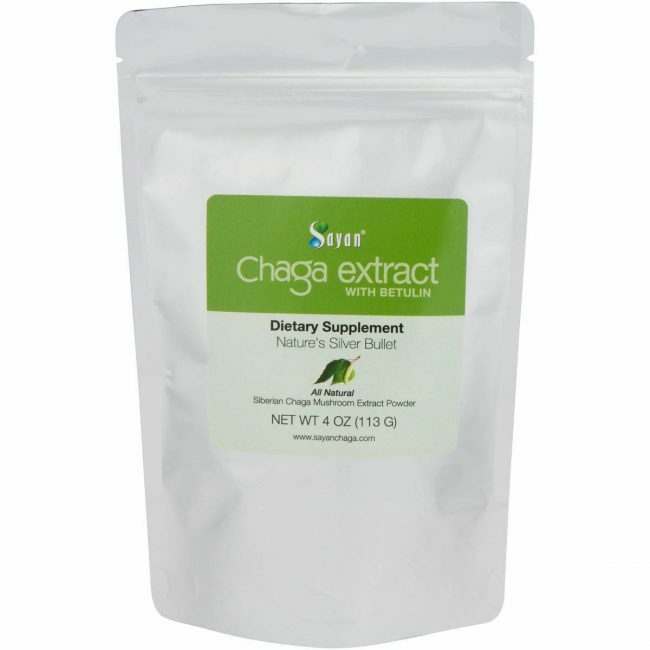 Sayan Health is happy to introduce a new, exclusive product: chaga extract powder enriched with betulin. One of the main components of birch bark, betulin has been shown to support the immune system, help regulate cholesterol and fatty acid, regulate body weight, and support heart health. For health oriented people who want to experience the maximum benefits of the birch tree, this is a great choice. With a high ORAC value and immune system support properties, chaga extract powder with betulin supports resistance to cell damage caused by free radicals. 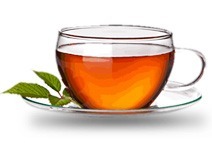 * Enjoy mixed with your favorite beverages or simply brew as a tea. Have you ever wondered why birch trees are white in color? The answer is: betulin. Betulin, from the Latin word betula, meaning “birch”, is one of the main components of birch bark, and this is what gives the birch tree its white color. Betulin is a naturally occurring substance found in the bark and sap of birch trees. Betulin can be converted into betulinic acid, which is an even more biologically active substance than betulin itself. Betulinic acid is a usual component of birch leaves and birch mushroom (fungus), although its content is much lower than betulin. Sayan Health offers exclusive and great product: chaga extract with betulin. 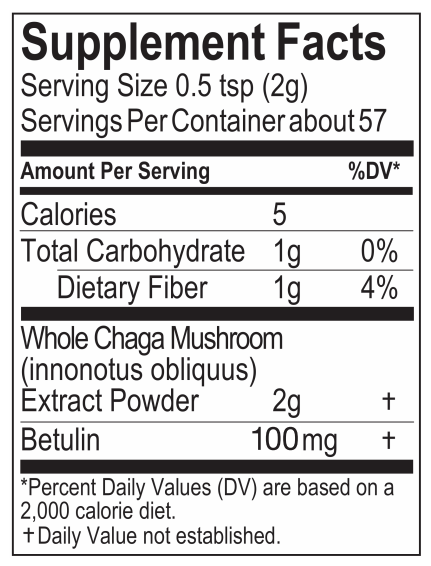 While chaga itself contains a small percentage of betulin, we enriched our chaga extract by adding 5% betulin to it. This dietary supplement could provide many health benefits when you add it to your diet. Our enriched extract is made from wild-harvested chaga mushroom with no additives other than pure betulin. 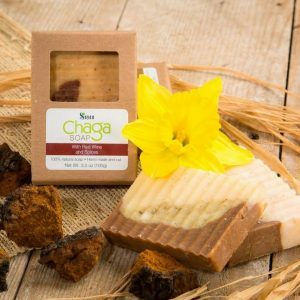 The beneficial properties of chaga were first documented in Chinese traditional medicine thousands of years ago, and folk healers in Siberia have prized chaga for centuries. 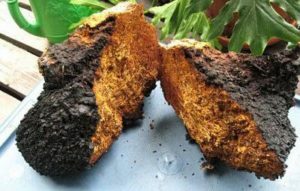 The typical method of chaga consumption is drinking a warm, woodsy tea made by steeping the raw mushroom in hot water. People in Siberia still drink chaga tea daily to support health and longevity. A wide spectrum of chaga action is due to the presence of a rich complex of biologically active substances. Active substances are considered pigments, forming the chromogenic polyphenol-carbon complex, organic acids (oxalic, formic, acetic, oil, vanillic, p-hydroxybenzoic). Organic acids have a great influence on the human body. Aromatic carboxylic and hydroxycarboxylic acids can regulate healthy function of the tissues. Also, micro- and macro-elements that support health have been found in chaga: manganese in large numbers, silicon, iron, aluminium, magnesium, zinc, and potassium. Derivatives of lupeol – betulin and betulinic acid – are extracted from birch bark. 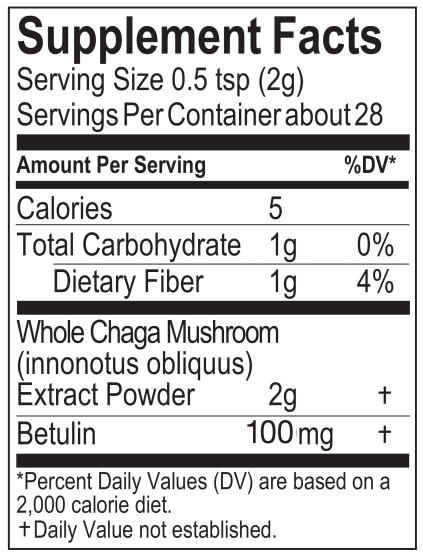 Ingredients: Whole Chaga Mushroom (Innonotus obliquus) Extract Powder, Betulin. 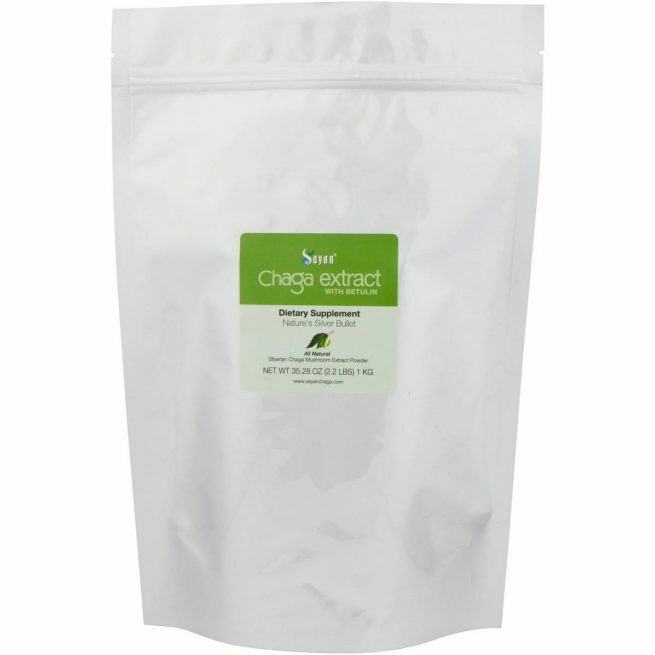 Daily supplement use: 0.07–0.10 oz (2–3 grams, or about half a teaspoon) of chaga extract powder with betulin, mixed with your favorite beverage to be taken daily. Daily Supplement Intense use: For individuals wishing to improve a certain health condition, such as a cold, respiratory problem, or digestive problem, etc. : 0.25–0.35 oz (7–10 grams, or about 1.5–2.0 teaspoons) of powdered chaga extract, to be taken daily. 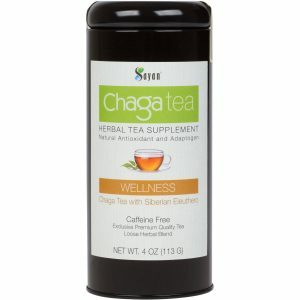 If the herbal flavor of chaga is too strong and makes it difficult to ingest, add some sweetener or use more liquid (we also find that beverages with lots of flavor could mask the herbal note of chaga very well). Pure chaga is an acquired taste. It may even taste bitter, as it has a lot of herbal flavor. If the herbal flavor of chaga with betulin is too strong and is difficult to ingest, add some sweetener such as honey or sugar to taste, mix chaga into a beverage with more flavor, or use more liquid to dilute it more. The daily serving size can be split in half or even 3 to 4 equal portions, to be taken throughout the day. 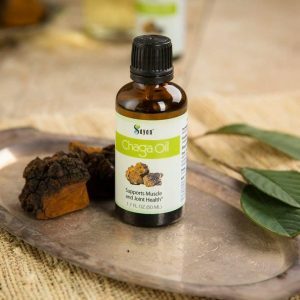 Please note that chaga extract with betulin is slightly less soluble in water than pure chaga extract. Also you may notice that the color of this extract is lighter than the pure chaga extract powder. For best results, take a 5- to 7-day break from taking chaga extract powder with betulin every 24–28 days. In other words, use it for about a month, stop for a week, and then use it for another 4 weeks, and so on. While taking chaga extract powder with betulin, we recommend following a dairy-vegetative diet and minimizing the amount of smoked meats, products high in animal fat such as bacon, strong seasonings, and processed foods. We also recommend quitting smoking and limiting alcohol intake to a moderate level. 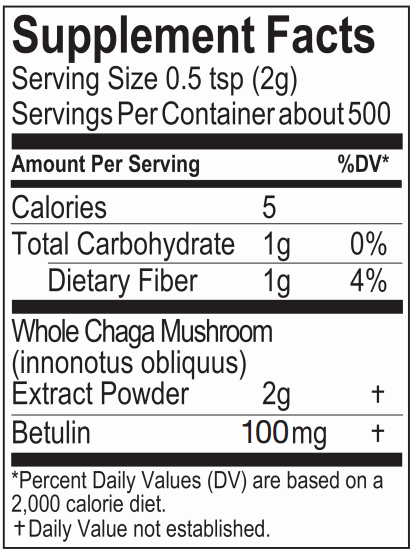 Caution: Avoid consuming chaga extract powder with betulin if you are currently taking penicillin or intravenous injections of glucose, in case of adverse interactions or side effects. I barely started my 3rd bag. I am very happy with how this works with me. Adding this to my coffee in the mornings has gave me a lot of energy throughout the day. This brand is very distinct to other brands, I have seen a lot of results in the past couple weeks already. Doesn’t affect me like other reviews say it does. It’s Great! Great product! 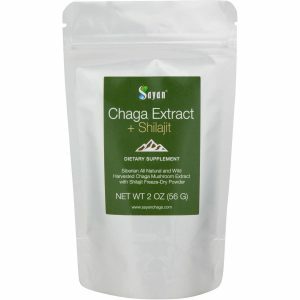 Best chaga extract around! Shipping is also great, it arrived the next day after placing an order. Boost Energy without a dose of caffeine.. ” Highest ” quality Chaga I have ever had from Sayan Health. This is the best alternative to Coffee, energy booster and it has the highest O.R.A.C. level…. Siberian Chaga is the best ! And Sayan is the best among Siberian Chaga…..Instead of buying from every source known, save your money and go with this company, my only complaint is the price, it is little bit high as compare to chaga one can buy in Siberia.